You are here: Home / Book News / Order Now! The 2nd Edition of The Insiders’ Guide to Becoming a Yacht Stewardess is shipping! Order Now! 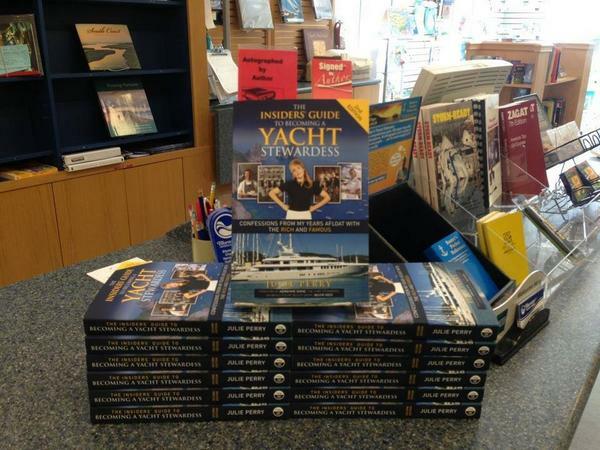 The 2nd Edition of The Insiders’ Guide to Becoming a Yacht Stewardess is shipping! Part how-to guide, part travelogue, The Insiders’ Guide to Becoming a Yacht Stewardess by Julie Perry not only outlines the step-by-step process to getting a job on a luxury yacht… it also reveals what life is really like aboard these oceangoing toys.